The identiFlyer - Over 250 Birds and Their Songs on 25 SongCards. 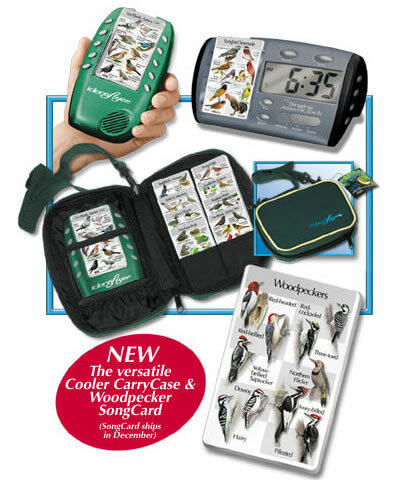 250 birds along with stunning color illustrations, are organized on 25 interchangeable SongCards and play through the identiFlyer SongPlayer. SongCards are arranged by habitat making it easy AND rewarding to recognize birds in your area even on your VERY FIRST try. Simply slide in different SongCards to explore the entire world of birding. A must for nature lovers of all ages and expertise! Sportsmen identiFlyers - Two different identiFlyer recognition systems designed specifically for hunters.